We’re big fans of Devon at the Volly! Of course, we always have many more Devon ales on offer, with guest beers appearing during the week. Pop in soon and try a really great drink that has been made in Devon. You won’t regret it! 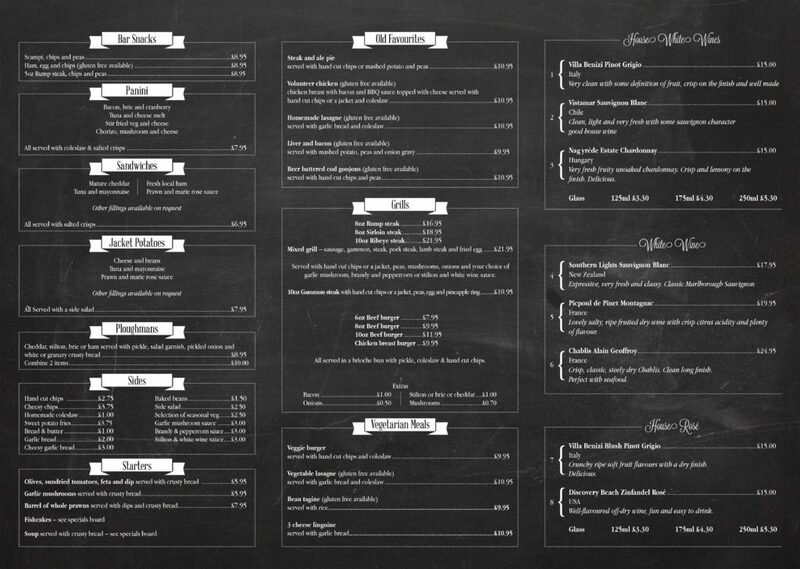 If you’ve eaten with us recently, you will have seen our new menus. All the old favourites are still available, including our Barrel of Whole Prawns, Steak & Ale Pie, Volunteer Chicken, Steaks and Mixed Grill. We’ve also introduced some new meals inlcuding Three Cheese Linguine and there are more Gluten Free options on the menu. There’s also a separate dessert menu with our famous Chocolate Brownie and Eton Mess. And don’t forget our Young Guns Menu with dishes perfect for children up to the age of 12. We have tried to make everything simpler for you when you are ordering but if you have any questions or special requests, please give us a call before you come. We still have our Weekly Specials, so there’s lots to choose from. Read more about the menu options here. Cider alert! 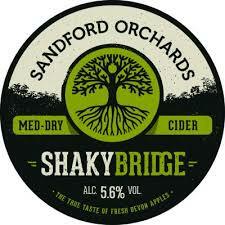 We now have ‘bag in box’ ciders from Sandford Orchards. 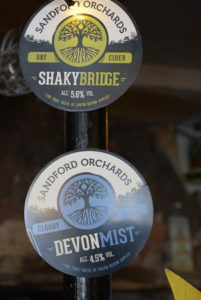 Choose from Shaky Bridge and Devon Mist. 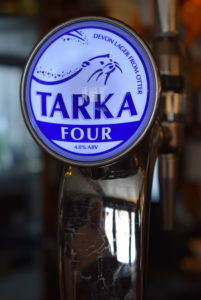 We also have on draught, Sandford Orchards Devon Red and from Otter Brewery, Tarka Four. 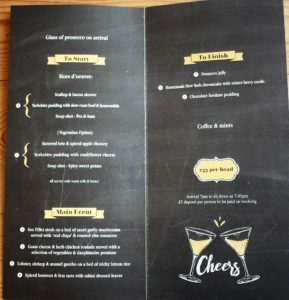 Exciting news for fans of cocktails! The Volly is will be serving a small selection of cocktails on Thursday, Friday & Saturday nights. You can now see our Specials Board on the website. Check this out in the menu at the bottom of the web page. We’re updating it every week on a Monday. 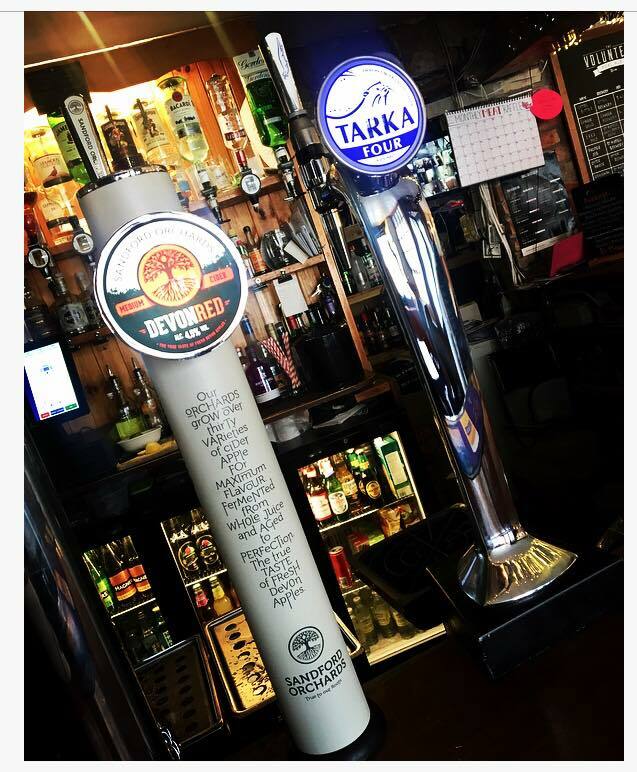 As well as meals, we are also letting you know which beers are available during the week. 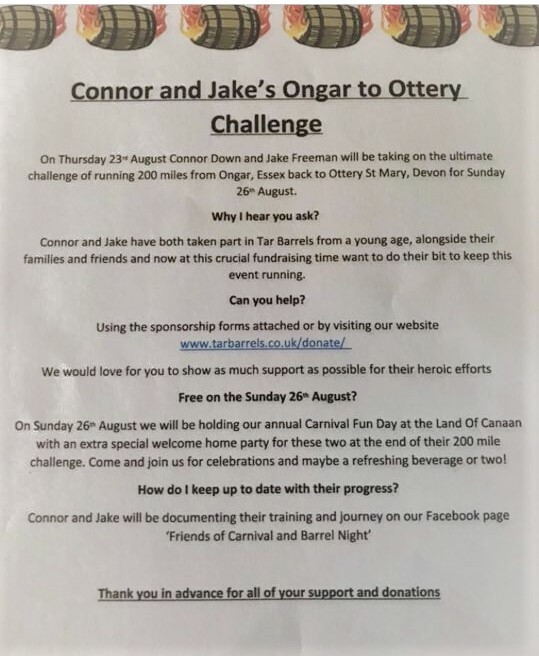 Keeping you informed so you can enjoy your next visit to the Volly! Raise the roof for the Carnival Committee! As usual, we will be running the bar, and food is being provided by our friends at the Rusty Pig. See you over the festive! We know, we know! Christmas isn’t here yet and we’re talking about New Year’s Eve at The Volunteer. But we’re already taking bookings and we wouldn’t want you to miss out now! For just £35 a head you will get a glass of prosecco on arrival, three courses and coffee. Arrive at 7pm and party the night away! 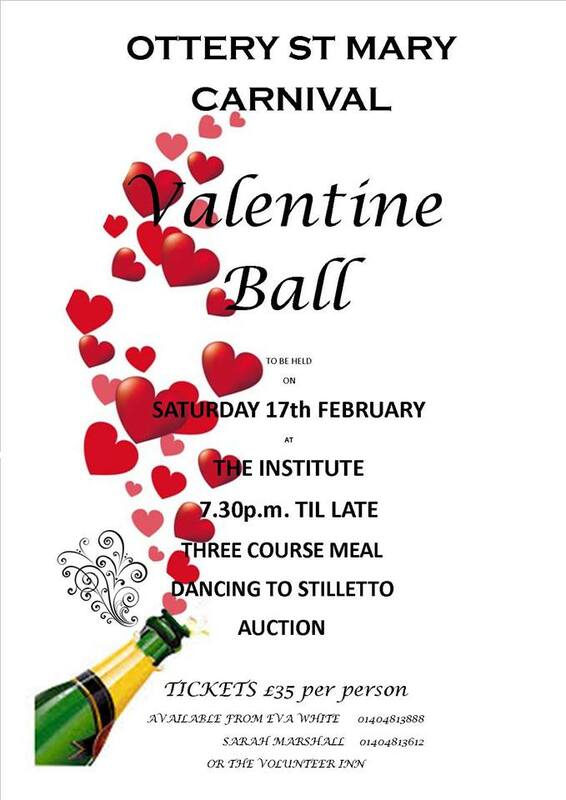 Please pop in or call us to book. And just in case you’re still thinking about Christmas, take a look at our Christmas menus too.